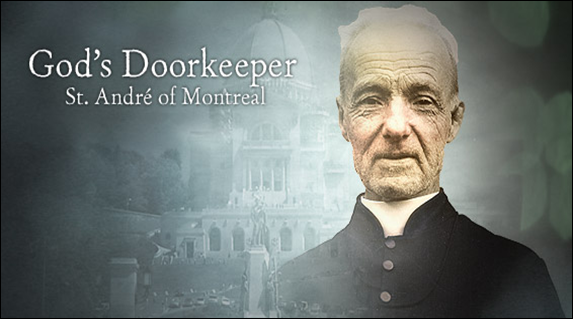 We invite you to visit the Relic of St. Andre Bessette on Sunday, March 6, 2016 at 7:00 p.m. The evening will include an opening liturgy followed by time for personal prayer and reflection with the opportunity to celebrate the Sacrament of Reconciliation. The closing liturgy will begin at 8:45 p.m. with Divine Praises, Benediction, and Veneration of the Relic. For more information, please call the parish office at (807) 223-2602. Our efforts to raise money to support our Syrian Refugee family of 5 is making process. We have reached 63% of our target and more fundraisers are in motion. Anyone wishing to make a financial donation to the refugee committee is welcome to do so at any time. Simply use the donation envelopes available, at any of the churches, fill out the information needed, enclose your donation and place it in the offertory basket. Income tax receipts will be generated for you. Please be mindful when requesting Mass intentions, that we try to accommodate specific dates and times requested to be scheduled, but this is not always possible. Weekends are especially popular. We are going to limit specific weekend/weekday requests to make it fair for everyone asking. Thank you for your understanding! To ensure availability of church and priest, contact Fr. Alan Campeau at least one year before setting your proposed date of marriage. In the event of a previous marriage, an annulment may be needed before proceeding with another marriage. Proof of baptism will be required of all the baptized and affidavits for the non-baptized. A marriage preparation course will have to be taken. Courses are offered throughout the year at various times within different parishes in the Diocese of Thunder Bay. RCIA: The Rite of Christian Initiation of Adults. Those wanting to learn more about the Catholic Faith and who may want to become Catholic are asked to contact Fr. Al to understand the details of the process. St. Joseph Church Youth Group is looking for young people from grade 4-8 to join. They meet every other Sunday afternoon, from 1-2:30pm at St. Joseph Church. The first meeting will take place October 11 with a half hour orientation starting at 1:00pm. Parents are encouraged to stay to have any questions answered and to understand how the Youth Group will function. For more information please contact Sue Vaccher at 223-5828. Aaaaachoooo! Everyone is asked to be sensitive to those who are ‘scent sensitive’, by wearing little or no scented products to church (eg: body sprays cologne, perfume, etc). Many of our parishioners are bothered by these scents and are deterred from coming to Mass!